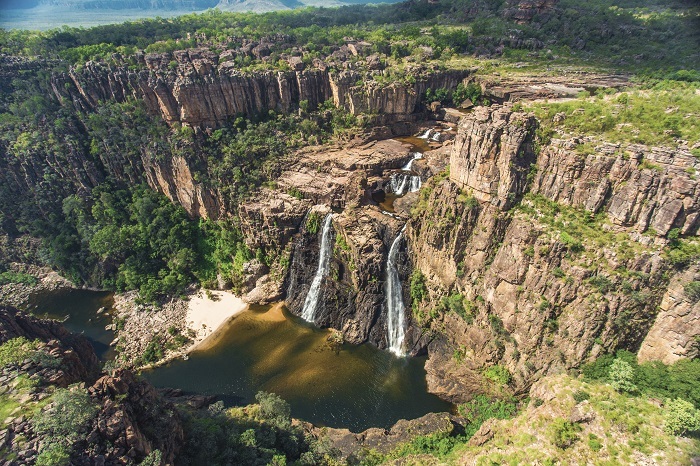 Explore everything the stunning surroundings of the Kakadu National Park has to offer on this three-day adventure. Throughout the tour, you’ll discover the region’s best-loved attractions and uncover ancient rock art, all of which is set against a backdrop of mesmerising waterfalls, fascinating indigenous culture, and breath-taking views. Please note: this tour is suitable for ages 18 – 49 years old and requires a reasonable level of fitness. 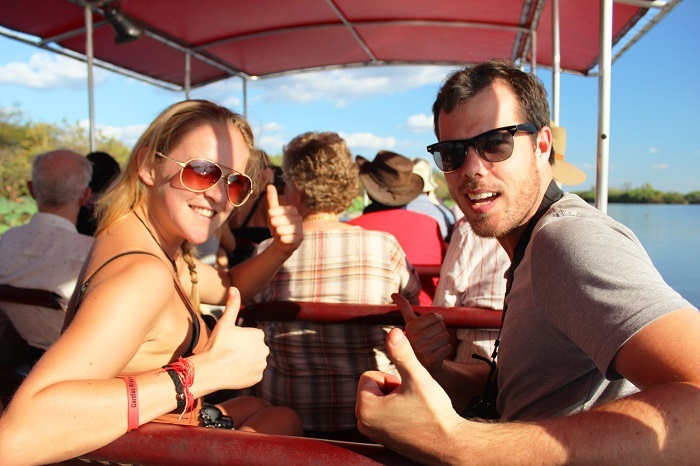 This tour only operates in the Top End dry season (May – October). If you are interested in travelling during the wet season (November – April), check out our 2 Day Kakadu Tour and 3 Day Kakadu & Litchfield Tour. 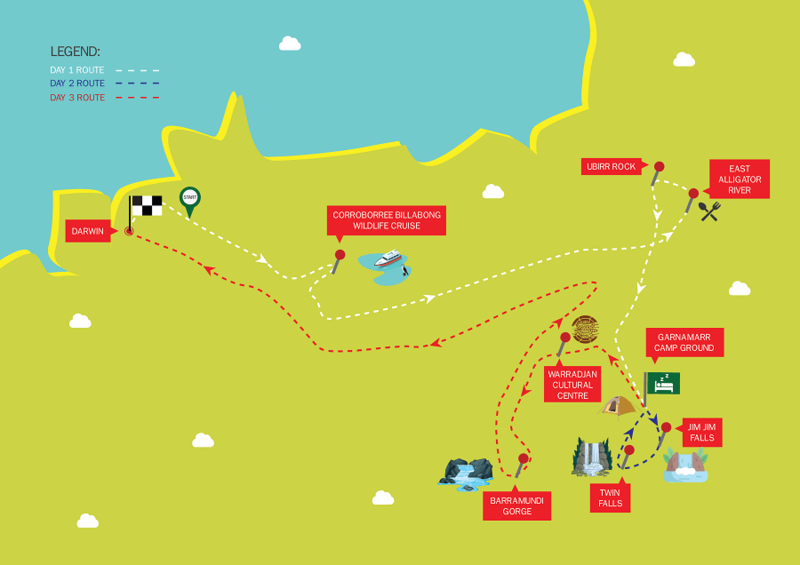 Comfortable walking shoes, 1 litre water bottle, insect repellent, sunscreen, weather appropriate clothing (including a rain jacket and a long sleeved cotton shirt), sleeping bag, camp pillow / small cushion, swimmers, hat and a torch or headlight. Sleeping bags can be hired for $15. We start of the tour with a fun wildlife cruise on the Corroborree Billabong, where you’ll get up close and personal with some of Australia’s magnificent creatures. Then it’s onto Kakadu National Park, where we’ll stop for a tasty picnic lunch on the pretty banks of the East Alligator River (keep your eyes peeled for crocs! 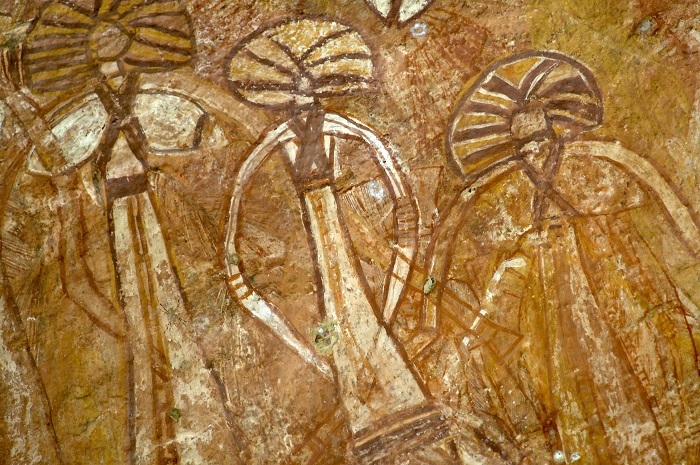 ), and discover the centuries-old rock art that covers Ubirr Rock. 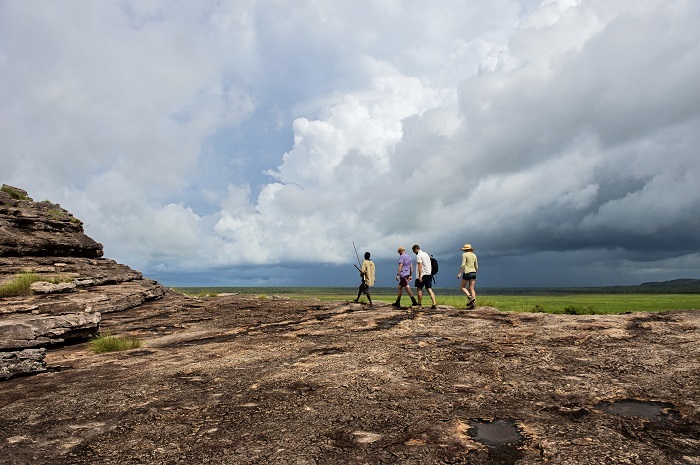 You’ll have the chance to look out over the sprawling plains of Arnhemland before we camp in an exclusive safari camp at Garnamarr. Dinner is a traditional Aussie BBQ with the chance to taste croc, buffalo, and kangaroo. After breakfast we’ll head to Twin Falls via a 4WD experience before walking the top of the escarpment and taking a refreshing dip in the clear pools. Then it’s on to Jim Jim Creek for some lunch and a 1km walk through the lush vine forests at the base of the waterfall. As evening falls, we’ll have another delicious Aussie BBQ back at camp. First off, we’ll head to the Warradjan Cultural Centre, where you can learn all about the local indigenous people of Kakadu. Then it’s on to Barramundi Gorge for a 1km walk amongst clear pools and ancient trees before taking a dip in the refreshing plunge pool. Then it’s time to head home, stopping on the way at White Lily Billabong for our last look back at the beautiful scenery of Kakadu. We can arrange pick up from most hostels and hotels in Darwin. If you don’t see your accommodation listed in the drop down menu, please contact us and we can advise you of your closest pickup location.